This year was the 35th anniversary of the famous Bloomsday 12k. This is such a fun event - and huge. 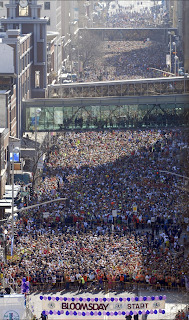 There were over 50,000 finishers (again). If you're living in the Northwest and you haven't run it yet...why?!? If you don't live in the Northwest, you should think about making a trip to run it at least once. This was my third year running it, and I had an absolute blast again. 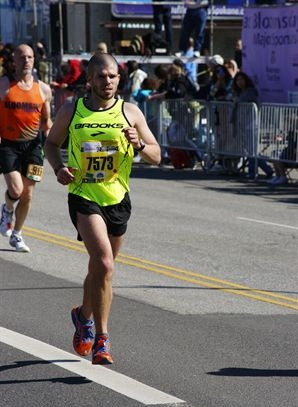 Live music over the entire course, great weather, funny costumes, and so many smiling runners. Somehow, even though I'm still on an absolute high from the Atacama Crossing and the Boston Marathon, running Bloomsday had a way of lifting my running spirits just a little higher. I had a good run on the challenging course and beat my time from last year by over a minute (results page). Not the flattest course in the world. Love my Racer ST 5's. Good Luck at Windermere. Make sure they have the finish line right this year!! Congrats for beating your last year time. Indeed I don't like to enter the crowded races. good luck!! and holy elevation, that course looks like a nightmare. 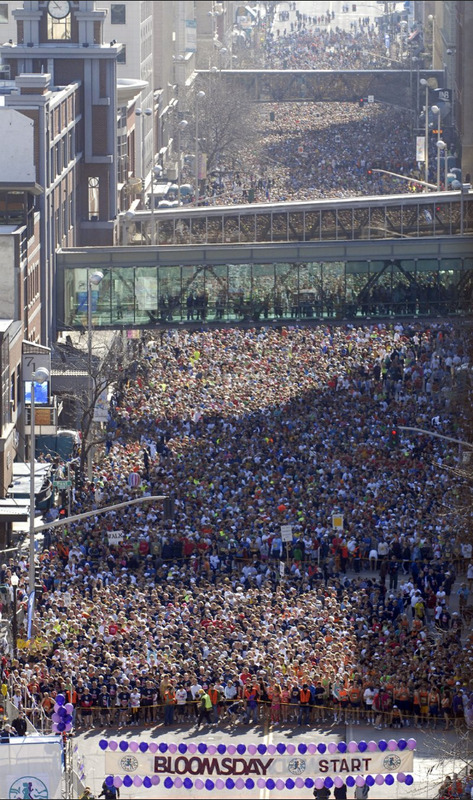 that is one heck of a crowd of runners! Not my cup of tea but amazing nonetheless. Looked like fun! Great race.